Motherhood and worry. They go together like peanut butter and jelly. Like three-year-olds and casual farting. Like Kim Kardashian and naked selfies. Even before I became a mother, I was a champion worrier. My childhood was one long episode of the "what-ifs." As I got older, the what-ifs have ranged from the normal: What if I choose the wrong career? What if I never meet my soul mate? To the ridiculous: What if while I'm walking down the street my scarf gets snagged by a passing car and I'm dragged to my death? To the sublimely ridiculous: What if I never get to go to Australia to hug a koala? What if I do go to Australia, but the hugging koala rejects me? And then bad-mouths me to all his koala friends so they won't hug me either? Pop quiz, hotshot: Can you guess what female blogger whose blog you're currently reading has a history of migraines and stomachaches? Spoiler alert: Me! The root of worry is fear and lack of control. And anyone who knows me knows, first of all, I'm terrible at covering my roots, but, more to the point, I'm a control freak and a perfectionist. I'm an older mom, and part of why we waited so long was I wanted everything to be perfect in our life before bringing a child into it. When I reached my late thirties and perfection was still a no-show, the what-ifs hit me from the other side. What if we'd waited so long to have a child we couldn't anymore? Then, after I did get pregnant, I spent eight months worried I'd done irrevocable damage to my baby's genetic makeup by drinking too much---and taking my prescription migraine meds to recover from the aforementioned drinking too much---during that first month before I realized I was pregnant. Next came the worries over money, moving apartments, birth defects---unpreventable as well as those caused by carcinogenic household products, exposure to interstellar radiation, and soft cheese. Followed, inevitably, by the actual birth itself, where I used the time between contractions to brood over whether the baby should go to the college that offers her a full scholarship or if she should go into debt by attending an Ivy League school instead. "Aren't you getting ahead of yourself?" my husband asked. "Yes, you're right," I said. "I mean, what if she isn't as school smart as I'm assuming she'll be? I must revise the spreadsheet!" 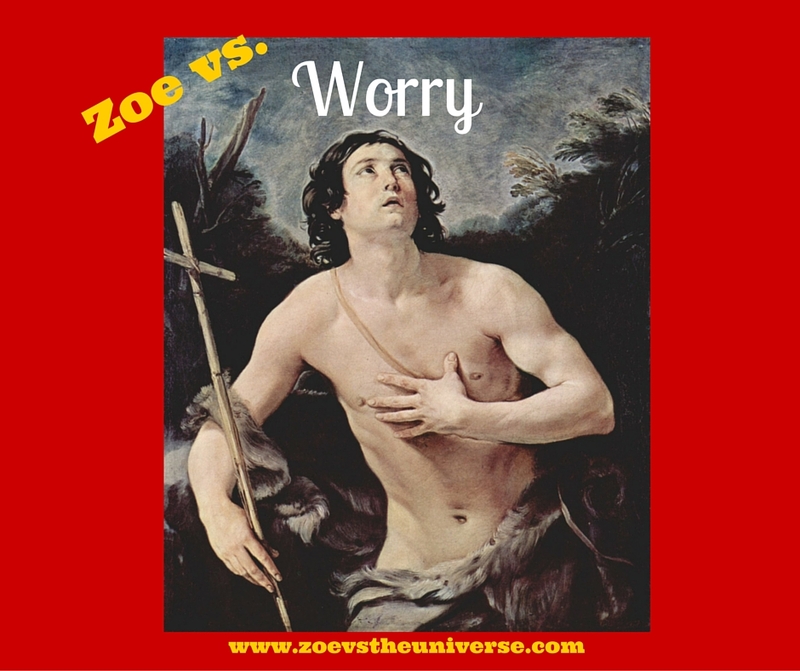 After Zoe was born, I doubled down on worry by worrying whether Zoe would be a worrier, and from the signs, I would say that's a big yep. As an infant, she soothed herself to sleep by punching herself in the head. As she got older she graduated from the punching to less violent hair-twirling. She still does the latter, but now she also bites her nails and picks at her cuticles till they bleed. Finally, for the piece de resistance, she grinds her teeth in her sleep. I try not to fret over her fretting but, on the other hand, I was born for this. Just as Zoe was born to teach me a lesson about what I can and cannot control---something all parents learn the first time they bear stoic witness to a string of consecutive diaper blowouts. But also because every fall, every cold and fever, every trip to the park or to a birthday party, things happen, good things and bad things, few within my control, and yet, for the most part, everything has this tendency to turn out fine. Maybe not perfect, but fine. Besides, perfect is overrated. Perfect is sitting still in a white room hermetically sealed so that nothing can get in. No rain. But also no sunshine. And (cliche alert!) sunshine's worth the rain. 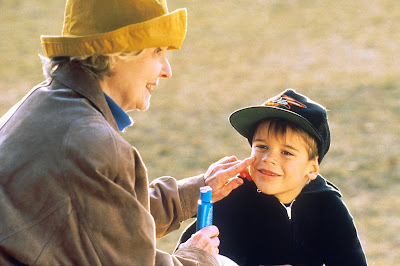 As long as you apply the proper SPF. Let's not get crazy. Which button turns this thing off? Of course, I will always be a worrier. My main concern, now that Zoe's five, is how an anxious antisocial person like myself can best support her child as she starts to make her own friends. And so, even though the last thing I want to do is attend her school events, I force myself to go anyway. For instance, I thought we'd skip last Friday's Trivia Night. But when I picked her up from the aftercare she insisted she wanted to go. I said, "What if you don't know the answers to the questions? You might get upset." I said, "What if I don't know them either?" "Mommy," she said then, "you worry too much." So I guess I don't need to worry after all. She's already smarter than I am. . . .
. . . .Though upon further reflection, that's worrisome too. *There were a lot of questions at Trivia Night that I didn't know the answers to, questions regarding kids' shows and Minecraft. But then they asked us to name either two of the characters or two of the actresses who starred in The Golden Girls, and I blew that one out of the water. Don't worry, be happy: Click here to subscribe.